This list is for those of us who periodically give ourselves the challenge “This (year…summer…winter…vacation…whatever…insert your word here) I’m going to read the classics!” What follows is a list of 15 short (sometimes very short) classics. Some can be read in a weekend…some in one sitting. (The number of pages sited varies by edition). 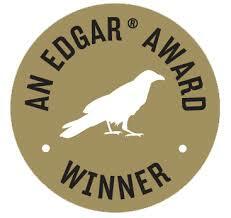 The Edgar Awards are named for Edgar Allen Poe and honor the best in mystery fiction, non-fiction, television, film and theater. They’re awarded every year by the Mystery Writers of America. The Arthur Ellis Awards are presented every year by the Crime Writers of Canada for the best in Canadian crime and mystery writing.